Pantropic Power offers the experience and know-how to provide completely customized Caterpillar Industrial engine driven packages in South Florida. We offer diesel, natural gas, and propane CAT engines from 40-7000 HP for water treatment works, pumping stations, major agricultural facilities, rock quarries, oil storage facilities, recycling plants, data centers, industrial manufacturing complexes, high-rises, military bases, etc. We are the only South Florida’s Authorized CAT Power System Dealer with an in-house engineering department and system design team ready to customize pump packages for flood control, oil storage facilities, and municipal water & sewage applications. 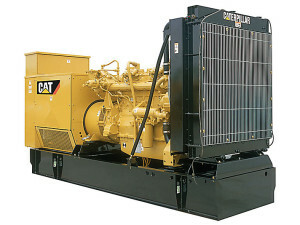 Cat gas engines fit a wide range of industrial applications. Gas engines carry ratings from 55-4705 bhp (41-3509 bkW). As concern for air quality grows, so does the role of gas engines. Caterpillar developed its first gas engines more than 50 years ago and continues to lead with innovations that deliver high performance and fuel economy, as well as clean emissions. Gas engines let you choose the most available or affordable gaseous fuel: natural gas, field gas, propane, landfill gas, and digester gas- all can be burned cleanly and efficiently. Gas engines include the Cat Electronic Ignition System (EIS), which uses state-of-the-art microprocessor technology to control key parameters, such as timing and detonation protection. The EIS also has built-in diagnostics covering nearly every facet of the ignition system. 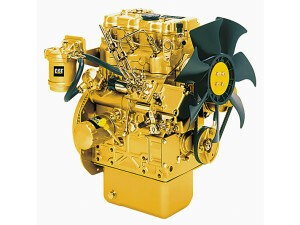 All Cat gas engines are based on rugged diesel engine frames. That means high reliability, low maintenance and repair costs, and long service life. Components such as blocks, crankshafts, heads, liners, and connecting rods, are also the same as those used in Cat diesel engines.